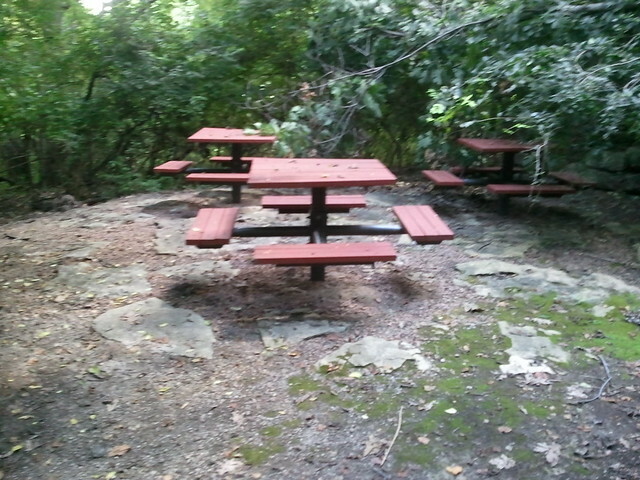 So I was running along the trails today and came to the end of the trail in Maryville Center and found these little tables. I’ve been enjoying the opportunity to getting out and explore more of the campus and the surrounding area. There is all kinds of stuff to check out. If you click on the photo, it will take you to my flickr page and you can view on the map where these benches are located. I’m not sure who is responsible for the cleanup, but the tree limbs in the background are covering the back two tables. Maybe one of these days I’ll come out with a portable hand saw and clean up some of the dead tree limbs covering the trails.